Frederick Douglass, prominent abolitionist, civil rights activist and reform journalist, was raised in the malicious system of slavery. Frederick was brought to the nearby wheat plantation of Colonel Edward Lloyd. Two years later he was moved to Baltimore to labor in the household of Hugh and Sophia Auld, where he remained for the next seven years. Eventually, Frederick secretly learned to read and write, despite the laws against slave literacy, studied discarded newspapers, and became knowledgeable about the national debate over slavery. After an unsuccessful attempt to buy his freedom, Frederick escaped from slavery in September 1838. Soon after arriving in New Bedford, Frederick Douglass remarks at an August 1841 convention of the Massachusetts Anti-Slavery Society on Nantucket Island brought him to the attention of Garrison, a leading white abolitionist. As he matured as an antislavery lecturer, his keen mind even led some to question whether he had ever been a slave. To counter doubts about his life experience as a slave, Douglass wrote an autobiography providing full details of his life, in the winter of 1844- 1845. Narrative of the Life of Frederick Douglas, an American Slave, is an emotional journey into the atrocious system of slavery, and the inspirational triumph against insurmountable odds. 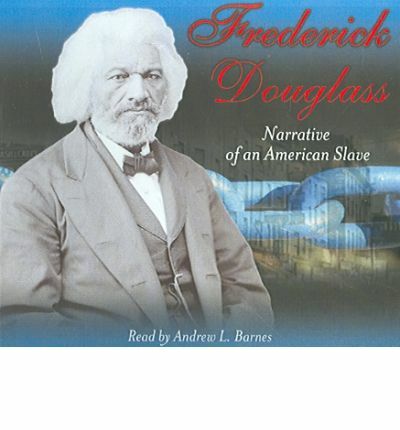 Legacy Audio is proud to present this audio book production of ?Frederick Douglass: Narrative of an American Slave?.